Here is a peek behind the scenes at CentriKid Camps staffer training. Every summer we hire a couple hundred summer staffers to facilitate the CentriKid program elements of Bible Study, Recreation, Worship, Track Times, and everything else! These leaders make the most of their opportunity because through each camp element they share the gospel with kids in practical ways. Staffers value their role serving the Church each week by making the message of Christ clear in the lives of kids at camp. Each aspect of camp is woven into the overall spiritual direction for the week of camp. 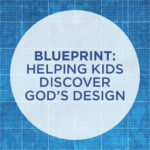 For camp this summer, at overnight camps as well as day camps, we develop a theme and graphical motif to teach kids how God loves them, they can be forgiven from sin, and God has big plans for their life. Allyson is a new staffer with CentriKid this summer, and as she prepares for the summer, she is excited about the opportunity to serve churches and invest in kids. She helped at another camp last year but was drawn to CentriKid because she had a chance to help as a team Assistant with her church and fell in love with the way CentriKid staffers are so intentional with teaching kids and making the gospel clear on an age-appropriate level . Camp ministry doesn’t just exist for one week out of the summer. Through the years, I have seen how that one season in a staffer’s life has impacted their ministry beyond just the summer. Jesse is a returning staffer who came to CentriKid in a Media Tech role with plans of completing college and going on with his career. After serving a couple of summers, Jesse expressed an interest in the Camp Pastor role and has served well in that capacity. Now he’s changed the course of his education to pursue a seminary degree and train to serve as a pastor of a church! 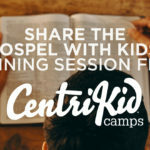 God is working already in the lives of kids, adults, and even summer staffers who will be at CentriKid. We look forward to sharing ministry results from camp and celebrating how lives are changed for eternity because of the impact of camp. 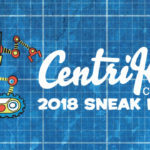 To learn more about CentriKid Camps, visit www.centrikid.com and if you know a young adult who should consider serving for a summer on camp staff, share the “Become a Staffer” page and help that student get plugged into the application process. The summer staff application is online and already available next summer! There are several FAQ’s there and a link to the online application.